Next month, Nintendo will be releasing a big update for the 3DS. Today, the Kyoto-based game maker discussed what is in store. 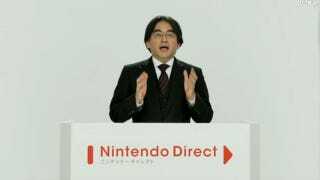 With the update, it will become possible to transfer batches of data from one 3DS to another. The Nintendo 3DS will also be getting a 3D camera, something that has already been mentioned. It will be possible to shoot up to ten minutes of 3D footage with the camera. What's more, the 3DS is getting stop-motion photography, making it possible for 3DS owners to make their own stop-motion masterpieces. This is a very cool addition, indeed. StreetPass is also getting an update that includes a map for those Miis you meet via StreetPass. "Find Mii", the Mii mini-game, is getting a sequel, too.